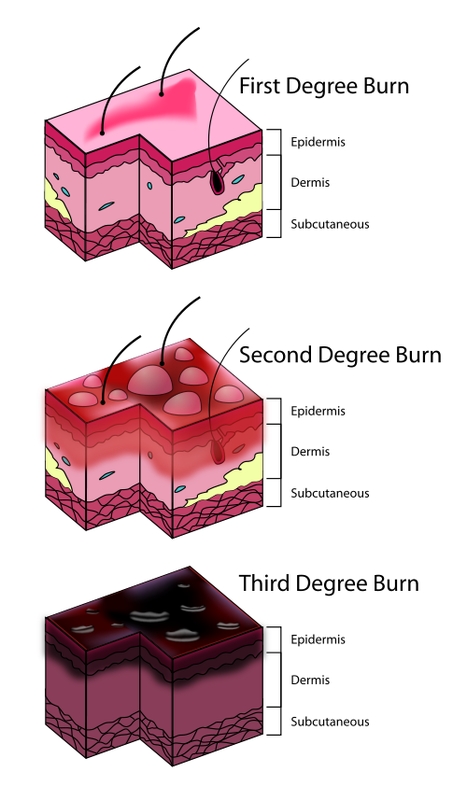 Burns vary on the degree of which layer the burn reaches. Remember, their are 3 common categories— 1st-degree, 2nd-degree and 3rd-degree. 1. Keep the burn cool (wrap the burn with a cool cloth or soak the burn in a bath. 2. Apply ointment such as: Aloe Vera. 3. Wrap the burn with gauze (keep from infection). Replace, once a day. 4. Administer a pain reliever such as: Advil. 2nd-degree Burns refer to the burn breaching the 1st layer of skin and reaching the 2nd. Usually there will be blisters accompanied by severe pain and swelling. Treatment: if the burn is larger than 3 inches, seek medical attention at your nearest hospital. If the burn is smaller treat it as you would a 1st-degree burn. 3rd-degree Burns are the most serious of all. These burns will be charred and can be deeper than the 3rd layer of the skin. Medical attention is much needed and you should call 911 immediately. 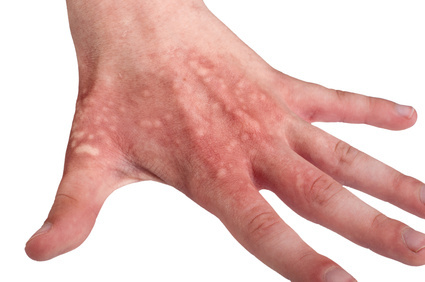 3rd-degree burn patients usually won’t feel much pain due to the charring of nerve-endings. 1. Call 911 and/or rush the patient to the nearest hospital. 5. Cover the injuries in a cool moist cloth (material). Remember, never add anything frozen to cool off a burn. Placing ice on the burn can cause tissue ischemia. Cool burns with clean cold water for at least 10 minutes. If water isn't available than a clean cool compress can be used as a substitute. 1. Call 911 if the patient undergone any serious injuries. 3. Turn off power source. 5. Move patient away from electrical source (use non-conductive materials if possible.